This is a guest post from the lovely Melissa, at CloudMom. Take baby steps, literally. You definitely can’t expect a four year old to be doing dishes or vacuuming the floors, but that doesn’t mean they aren’t able to help around the house! If your children are pretty close in age like mine are, ask them to help with small tasks. For instance, when Marielle, my youngest, was still a baby, I would ask my older boys to bring me a cup of water from the kitchen or her change of clothes from the closet. This really helps when you don’t have more than two arms to do everything! And it gives your eldest children a true sense of accomplishment, knowing they can help in even the smallest ways. Also a good way handle sibling rivalry when the new baby arrives since the older child is placed in an empowered position and feels less jealous for your attention! Let’s face it. Even adults would much rather be doing anything than tidying up the house. And kids don’t make the situation any better by dragging their feet. Get your child excited by turning it into a sort of game. Time your children to see who can complete the task the fastest by setting a stopwatch for 15 or 20 minutes. I’ve also found that this works well in the kitchen, too. Ask them to prepare the raw green beans and count how many they can get done. Nothing better than a little friendly competition, am I right? It really gets the process done quickly and I get to spend some great quality time with my kids in the kitchen! There is yelling and protests and comparing (“I’m doing more”), but sooner or later, our kitchen is clean and I feel that my kids are not totally spoiled. A chore wheel or printable chore chart with each of your children’s names and the assigned task is a great way to keep organized and make your child accountable for the chores of that particular day. Also, because chore wheels change position each day, your children can’t complain that they’re doing more work than their sibling. You can also tailor these charts to the age of the child and amount of work they’re expected to complete. Once they know what is expected of them every day, there should be less of a struggle to actually get them to do the work! Some parents opt to reward their children with an allowance. I’m not sure it would work in all cases, especially with very young children. Also, I would definitely not like my children getting in the habit of expecting money every time they do anything around the house! But a chart on the fridge with each child’s name on it and a sticker or check system each time they complete the task could work out great! After receiving a certain number of checks, they might get a small award, such as an extra story at bedtime or special dessert. Getting kids to help out around the house is not easy, what makes it work for you? Hope these tips get you the extra helping hands you need around the house! Good luck, parents! How do you get the kids to do chores in your house – do you use a chore wheel or printable chore chart? What works for you – we would love to hear. Melissa Lawrence, co-founder of CloudMom, lives in New York City with her husband and 5 young children. 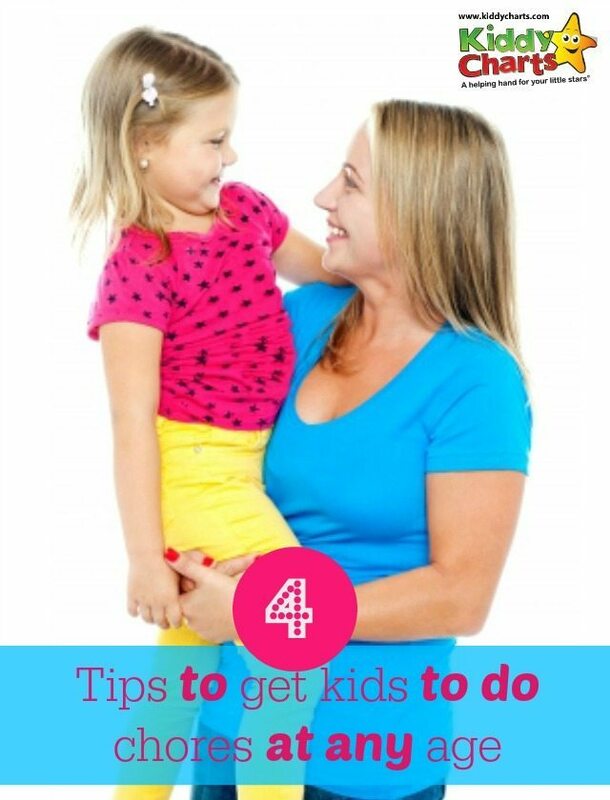 With more than a few parenting tricks up her sleeve, Melissa posts daily how-to videos and blogs for moms just like you! Happy parenting!